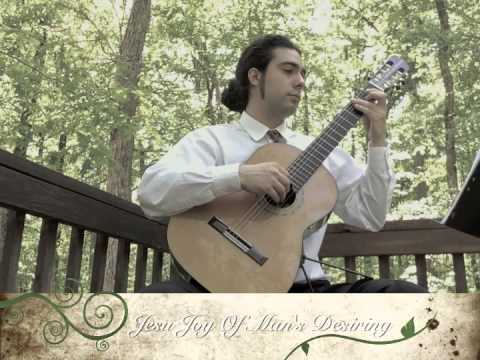 My fantastic guitarist playing Pachabel's Canon in D for a recent wedding. 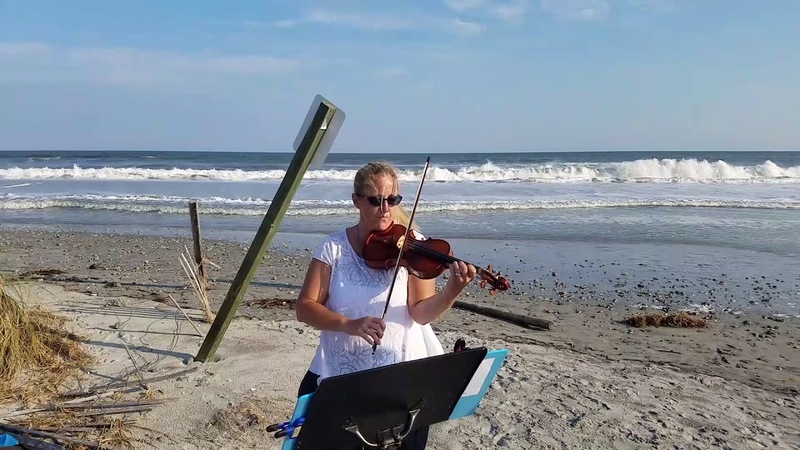 Trumpet Voluntary on Violin at the Beach! Wedding in downtown Savannah, GA. String Trio at a Hilton Head beach wedding May 4th. Violin and Cello Duo at Wedding Ceremony in Reynold's Square Savannah, GA, May 5th. Beach weddings are the best! Switching instruments during a wedding in Okatie, SC. 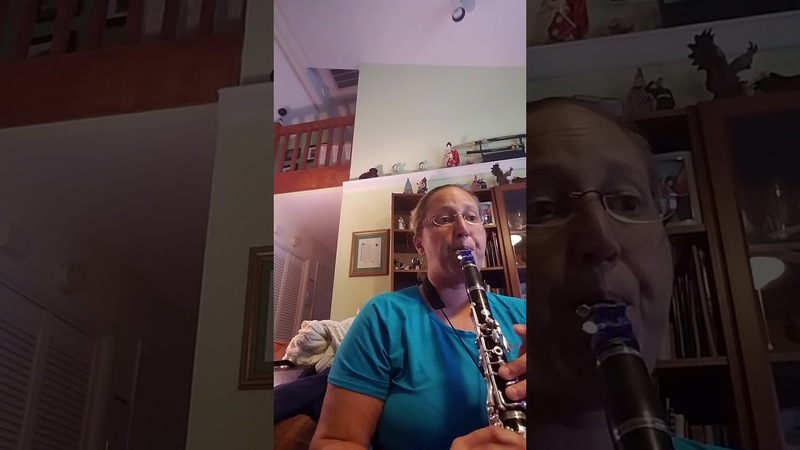 Playing my clarinet is so much fun! 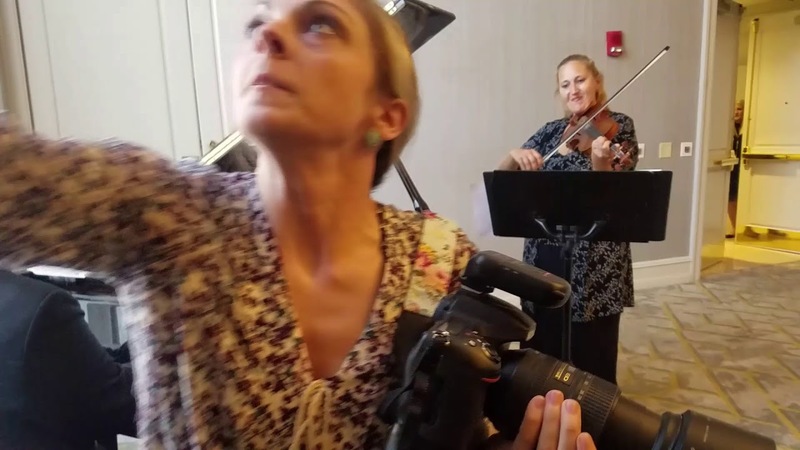 I will provide professional musicians: Solo though full string ensembles (violin, viola, cello, and guitar) and woodwind ensembles (flute, oboe, clarinet, saxophone, and bassoon) for your special event: Me included! I will travel for your event if time, talent and travel are cost beneficial to both parties. Minimum booking for musicians is one hour. Bookings may be extended in 30 minute increments. Mileage: $1.05/ mile Billed started 25 miles outside of my local playing areas. Music Fees: Add'l charge for copywrited music. I cannot thank you enough for your kind words. Working with you as a client helped me realize there were people out there who truly want to make magical moments truly possible. I didn't know you but I knew you needed a magical moment for Patricia. You were hands down one of the best clients I have ever worked with and I can't wait to see how your wedding plans progress. You have a ring bearer and flower presenter in both of my sons, especially if blue is included in wedding colors. Thank you for allowing my entire family (husband on video, boys on flower selection/presentation food selection manager and equipment protection technicians) and I, as well as our photographer Mark make your proposal a memory you will always cherish. Liz performed at my wedding and did an amazing job! Thank you so much. I enjoyed working with you and your now husband. It was a magical night. Liz was extremely accommodating and maintained contact with me throughout the planning process. Both of these were greatly appreciated, as they relieved the stress of putting together an event. She learned the songs I wanted played quickly. I definitely recommend her. Thank you Ray! I was honored to play for you and your wife yesterday. I was so happy I made your day wonderful. Liz was very easy to work with. Communication was prompt and she was able to accommodate our requests. I would definitely recommend her to anyone. Liz was amazing - absolutely amazing! I asked if she could learn and/or play 4 songs that aren't typically played at ceremonies, and she either already knew them all or learned them very quickly, and most importantly played them to perfection!! I cannot recommend Liz highly enough! Thanks James! The songs were new to us, however they were a perfect fit for your wedding. I'm glad we were able to make them happen. Congratulations and thank you again for such a wonderful review. Liz was very professional and responded to all emails promptly. She was accompanied by a pianist and they did an amazing job. Her rate is very fair as she is a talented musician. Liz performed beautifully at my brother's wedding. She was flexible, knowledgeable of different genres of music and fun to be around. We really appreciated how she utilized the groom's daughter's singing abilities by allowing her to sing a selection while she played her violin. We would definitely book her again! Our clients will receive professional classically trained musicians for their events. Prior to any bid we make, it is important for us to get a verbal confirmation from all ensemble members. In the event of a musicians change, we will let the coordinating client or planner know within 2 weeks of the event. DMA The Florida State University Clarinet and Woodwind Pedagogy 2019; MM, MME University Missouri Kansas City Conservatory of Music Clarinet Performance and Violin Education 2004; BM Clarinet Performance and BME Viola Education The University of North Carolina at Greensboro 2001. Teachers include Scott Rawls and Ron Hebert on Viola and Kelly Burke, Jane Karl, and Kathleen Freer on Clarinet. Performances with Greensboro, Greensboro Civic, Kansas City, and Beaufort Symphony Orchestras. 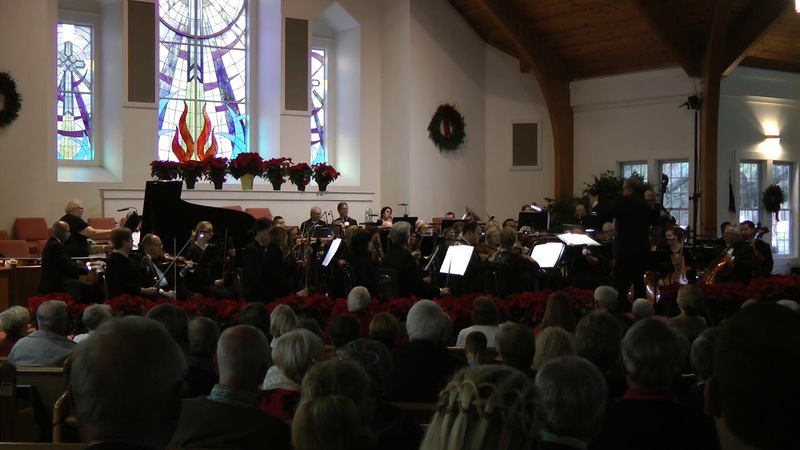 Currently member of the Sun City, Lowcountry Wind Symphony and Beaufort Symphony Orchestras, substitute musician with other local Symphony orchestras, as well as performer with various string and woodwind ensembles. I began playing viola at age 8 and then clarinet at age 9. Added alto saxophone, Eb clarinet, Bass clarinet, violin, and a few others throughout my undergraduate degree programs at UNC Greensboro. Studied viola throughout my clarinet performance bachelor degree and then studied violin to complete my masters in clarinet performance and violin education from the University of Kansas City Conservatory of Music. Currently finishing Doctoral program at FSU. Mom of 2, married my Marine and currently reside in the Beaufort, South Carolina area. We will provide music we have purchased and have legal permission to use for not-for-profit events such as but not limited to weddings, non-profit fundraisers, private parties, and free public entry to attend. If your event is for profit or if there is a charge for admission, some additional copyright music fees may apply and will be billed at minimum two weeks prior to the person of contact (POC) or event coordinator. These fees will be deducted for the deposit and will be due prior to time of service. Any hard copy purchase(sheet music, performance request documentation, etc.) we make due to copyright law requirements will be available to the POC at the conclusion of the performance. We will request all tolls and parking fees associated with hotels, inter-island ferries, highway tolls specific to gaining access to the event location, gated community fees, to be paid at time of service. Keyboard: $50.00 surcharge if no piano is available for the pianist. Sound System: $50.00 surcharge if we must provide a sound system. Piano – (if used) Please ensure that the piano we will be using has been tuned recently. If the piano will be moved for the occasion, it must be tuned after the move. If a suitable piano is not available (or for outdoor venues) we can provide an electric keyboard. Lighting / Electrical – We will provide stand lights for our music if the location is not well lit. If a keyboard is going to be used or if the venue is large enough to require a sound system, we will need a dedicated, 10amp, grounded service available for our use. Special Note for Outdoor Venues – It is your responsibility to provide adequate protection from inclement weather (or a plan “B”). Our instruments cannot tolerate moisture. We play music we grew up to from the 80's and 90's. We were influenced by our classically trained music professors from undergrad, grad school and my almost completed doctorate degree programs in early, baroque, classical, romantic, neoclassical, and contemporary music. Once we grew up and realized we loved playing the music we used to listen to at live events, we now also play popular songs made even more popular by The Beatles, Bob Marley, and Beyonce. Show tunes and popular musicals help make any special event even more exceptional. Humor us. Make us smile with your requests. We practice the music for your event as your event comes close. We do read music and make sure we are have all of our own hard and digital copies.